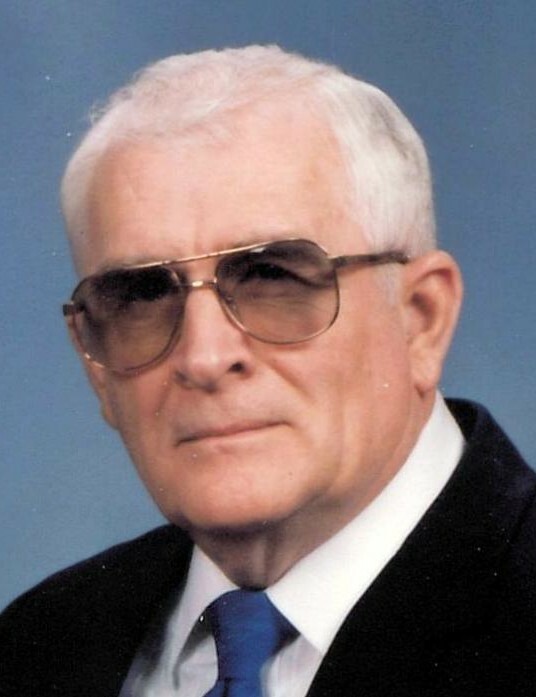 Bill Pyle, 89, of Sabetha, Kansas passed away at home on Thursday, January 24, 2019. He was raised and lived in the Morrill, Kansas area for many years and moved to Sabetha in 1970. Bill was born in Sabetha, KS on September 26, 1929 to George and Nellie (Bundy) Pyle, one of 5 children. He attended the Morrill schools and graduated from Morrill High School in 1947. He married Della Larson on January 24, 1954 in Hamlin, Kansas and farmed northwest of Morrill for several years. Upon leaving the farm in 1962, he worked at Isch’s Elevator in Morrill and at the Wilde Tool factory in Hiawatha. In 1966 he began working as a machinist at Wenger Manufacturing in Sabetha and worked there until retiring in 1992. Bill was preceded in death by his parents; his wife, Della on December 26, 2003; a daughter, Lisa King; a sister, Marjorie Mason; and two brothers, Robert Pyle and George Pyle. He is survived by a son, William (Terrie) Pyle of Topeka, KS; a daughter, Diane Pyle of Country Club Village, MO; a son-in-law, Ronald King of Lawrence, KS; and a brother, Bernard (Marinda) Pyle of Topeka, KS; also ten grandchildren: David Pyle, Melissa Pyle, Laura (Garry) Blackstock, Ryan (Laura) King, Riley King, Lindsay (Sandon) Wittwer, Justin (Shaina) Moravec, Kevin (Elaine) Moravec, Lauren (Sean) Kilgore, and Gabrielle Moravec; and seven great grandchildren, Tristan, Aidan, and Camden Wittwer, Jasmine and Nico Blackstock, and Mariella Moravec and Lily King. Thanks in part to Bill and Della, their children, grandchildren, and great grandchildren were all raised in loving Christian homes. Memorial service will be Monday, February 18, 2019 at 10:30 a.m. at the Trinity Church of the Brethren in Sabetha. A visitation will be held Sunday, February 17, 2019 from 2:00 to 4:00 p.m. at the Popkess Mortuary in Sabetha. The inurnment will be made in the Sabetha Cemetery at a later date and time. Memorial contributions may be made to the Pancreatic Cancer Action Network (Pancan.org), sent in care of Popkess Mortuary, 823 Virginia Street, Sabetha, Kansas 66534.